St.Helens band Gravy Train were one of hundreds on the undercard of the nascent progressive rock scene at the turn of the ’60s into the ’70s, and they made their first two LPs for Philips’ underground subsidiary Vertigo. Both releases vanished with hardly a ripple, and so the band switched labels to Pye Records’ hip subsidiary Dawn, hoping for more promotion, somewhat naively as it turned out. 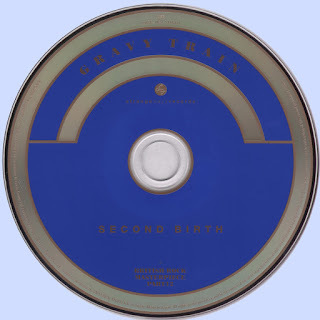 Their 1973 album for Dawn, the appropriately and optimistically titled Second Birth. 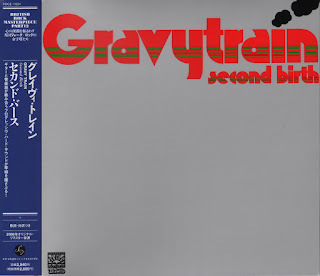 Unlike a lot of their prog rock contemporaries, Gravy Train were not afraid to highlight social and environmental concerns in their lyrics, directly hinted at in some of the song titles. Occasionally a little too earnestly it has to be said. You can almost hear principal songwriter Norman Barratt’s conscience as well as his cracked voice straining to near breaking point on opener Morning Coming. This band could rock too, with more than a hint of funk, as the following Peter testifies, with some fine sax blowing from Hughes, Barratt’s voice bearing some similarity to that of Roger Chapman on this one. Like almost every other band of the era that ever picked up an acoustic guitar, the influence of Crosby, Stills and Nash is felt, this time on September Morning News. Another all-pervasive influence and unavoidable in the early ’70s was The Beatles, and Fields And Factories blatantly lifts part of its vocal melody wholesale from Lucy In The Sky With Diamonds, but the rest of the nearly nine-minute tune has enough of its own character to make that excusable, with more sax extemporising and some fine acidic guitar from Norman. The title track is a good example of the progressive rock of the time, and bears comparison with any of its more well-known contemporaries. It is another paen to man’s abuse of nature, and with its three-part guitar and flute harmonies, and its fast and technically demanding sections it stands as evidence of a band revelling in their fast increasing proficiency.